Fru Sgakerrak: wonderful Scandinavian fiddling in Toronto soon! Fru Skagerrak: House concert Friday April 20th 7:30 p.m. 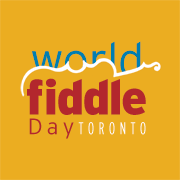 I can hardly wait, this will be a rare treat, hearing Scandinavian music from these wonderful young players in TOronto. .Through a repertoire of traditional tunes, new compositions, and songs in their respective languages, Fru Skagerrak- ”Lady Skagerrak” -three master musicians: Maja Kjær Jacobsen – Denmark, Elise Wessel Hildrum – Norway and Anna Lindblad – Sweden, express their kinship and love of a shared heritage. The result is an explosion of the sounds that exist in Scandinavian music today. We managed to catch them on the fly as they are touring with a new album, minted only days ago! Come and hear them make our rafters ring! When: Soon! Friday, April 20th 2018 Doors at 7:00p.m. Music at 7:30 p.m.
Refreshments will be available -finger ready or liquid contributions gratefully accepted.